This lively coach package explores a varied journey of discovery from the underground caverns of Mitchelstown Cave to the lakeshore of Lough Gur with high nelly bikes thrown in for good measure! Tours can cater from 10 to 51 persons, of all ages, and sharing a joke with our driver Pat and the wonderful people you meet along the way is one of its true highlights. Get ready for an experience you’ll not forget and climb aboard our luxury coachtour with a difference! 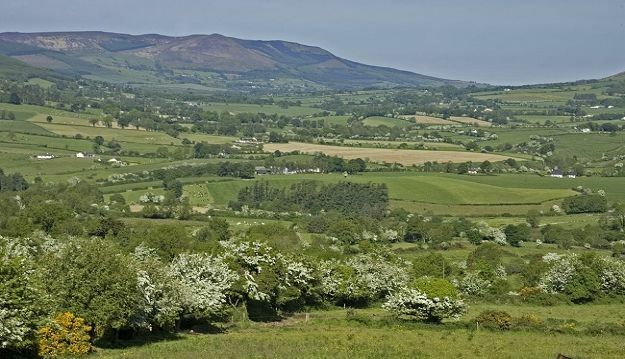 Pick up points from one of our beautiful accommodation options, travel through the rural towns and villages of county Limerick into Tipperary where you will descend into the one of the finest show caves in Europe. Each step you take on your descent underground is a moment to savour, breathing in the pure air and taking in the array of ancient formations around you. What goes down must come up and on ascent you’ll feel like an ancient cave man seeing light for the first time! Take in the views of the Galtee Mountains en route to Cahir, every bend of the road sees another vantage point of Ireland’s highest inland mountain range, in Cahir you can choose to explore Cahir Castle, the Swiss Cottage or take a stroll around this gorgeousheritage town and have a bite to eat before continuing onto the Glen of Aherlow, a stunning valley in the heartland of Tipperary. A unique stop is at the High Nelly Cafe, where you’ll meet Marty and the team who restore the quintessential Irish form of transport, the High Nelly bike. Take a “selfie” on your high Nelly, and grab a homemade scone and coffee as you soak up the centre! Your last stop takes in the magnificent Lough Gur, an ancient site, home to Irelands first farmers, for over 5000 years. There is a magic in this place from the lakeshore to the sites remaining of early man, and the myths and legends that surround Lough Gur are truly unique. Don’t delay call Kelly Travel Today! !